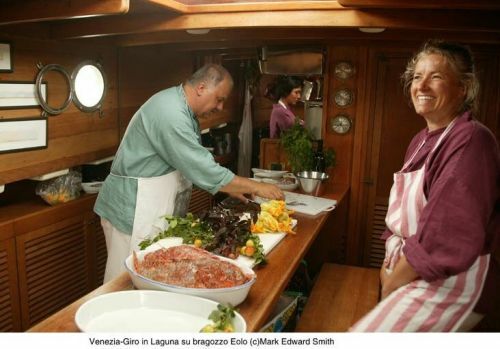 Eolo is a bragozzo dating back to 1946 restored by Mauro Stoppa, her present owner. A bragozzo is a traditional working boat, a sturdy but elegant wooden fishing boat 16 mt long equipped with beautiful and distinctive colourful gaffe rigged sails. 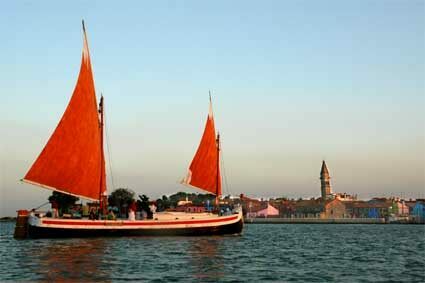 These are traditional trapezoid shaped sails attached to wooden poles, an evolution of the old lateen sails. Mauro loves the lagoon and is also an excellent chef. 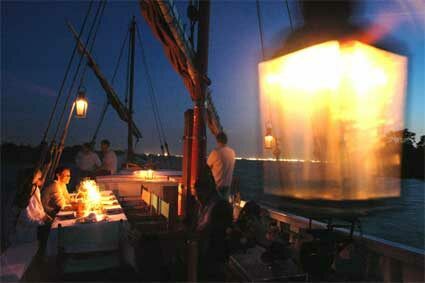 He offers a completely different way to experience Venice and its lagoon in line with sustainable tourism. 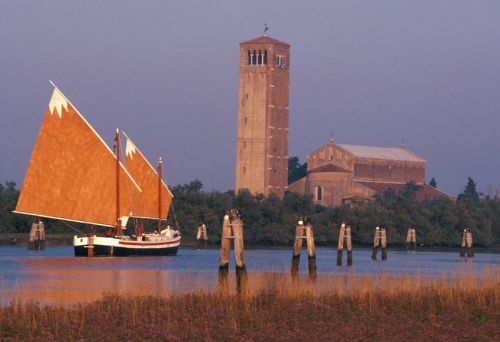 A slow-paced and relaxing cruise across a lesser known part of the northern lagoon, passing salt-marshes and small islands, while enjoying delicious food and sipping excellent wines, soaking in a charming and unspoiled landscape where time seems to have stopped, accompanied by tales and commentaries provided by one of our expert guides. Mauro proposals are basically two: a cruise accompanied by wine and cicheti (tapas or fingerfood) or cruise and stop for an unforgettable 3 or 4 course dinner or lunch. Click below for information on costs and practicalities.